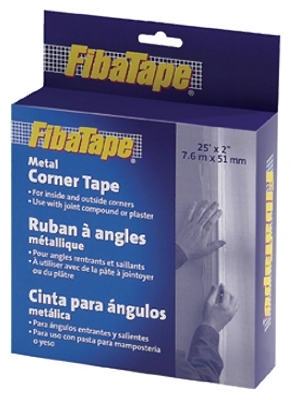 White Fiberglass Mesh Joint Tape, 1- 7/8-Inch x 150-Ft.
Drywall Joint Tape, Fiberglass, Yellow, 1-7/8-In. 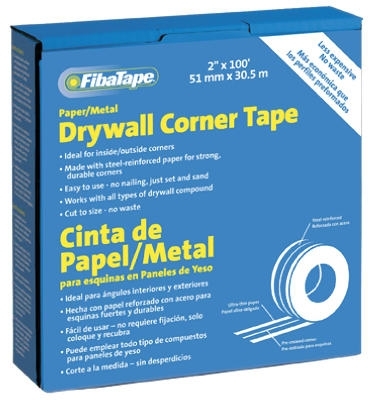 x 150-Ft.
Yellow Fiberglass Mesh Joint Tape 1-7/8-Inch x 300-Ft.
Ultra Thin Drywall Tape, White, 1-7/8-In. 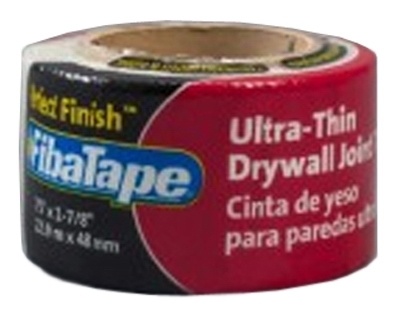 x 75-Ft.
Ultra Thin Drywall Tape, White, 1-7/8-In. 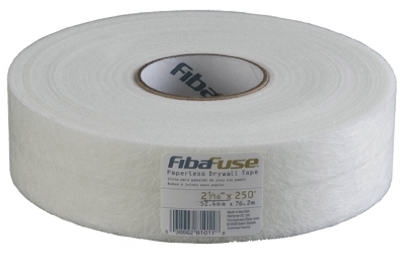 x 300-Ft.
Fibafuse Paperless Drywall Tape, White, 2-1/16-In. x 250-Ft. 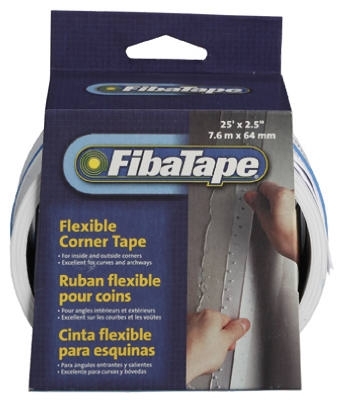 Flexible Corner Tape, 2-1/2-In. 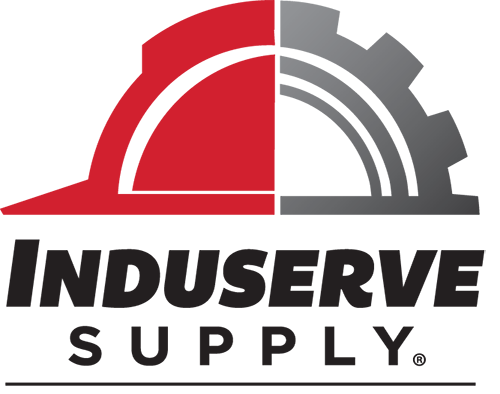 x 25-Ft. 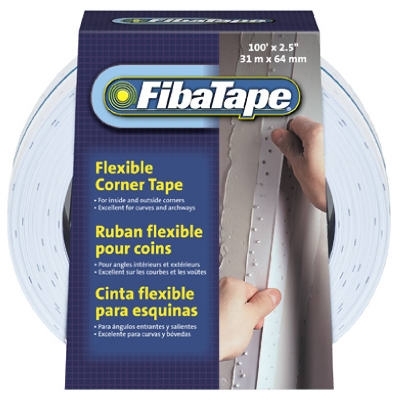 Flexible Corner Tape, 2-1/2-In. 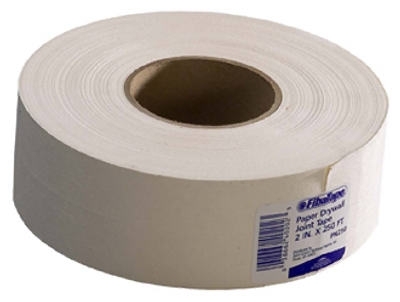 x 100-Ft.
Paper Drywall Joint Tape, White, 2-In. 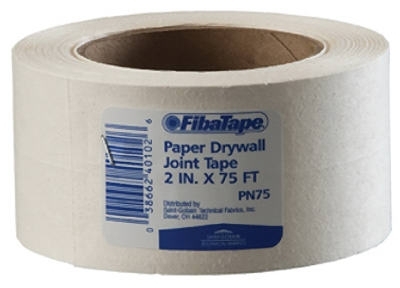 x 75-Ft.
White Paper Drywall Tape, 2 x 250-Ft.
Paper Drywall Joint Tape, White, 2-In. 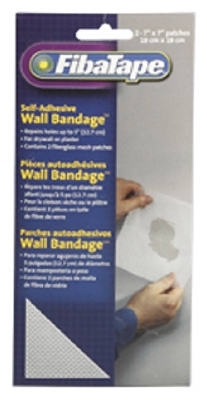 x 500-Ft.
Wall Bandage Repair Patch, White, 7 x 7-In., 2-Pk. 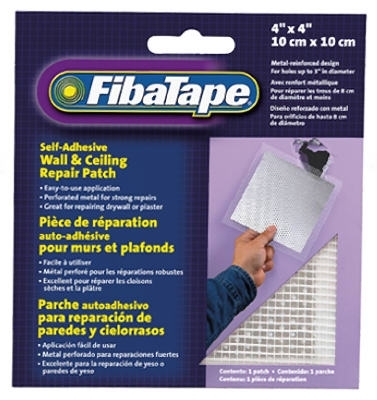 Wall & Ceiling Repair Patch, Perforated Aluminum, 4 x 4-In. 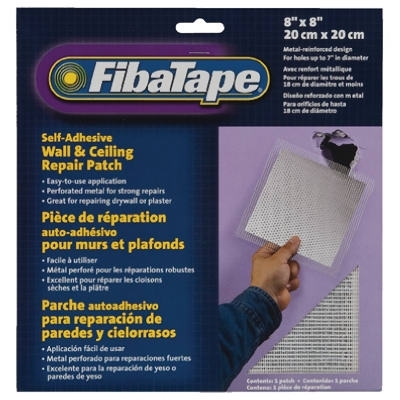 Wall & Ceiling Repair Patch, Perforated Aluminum, 6 x 6-In. 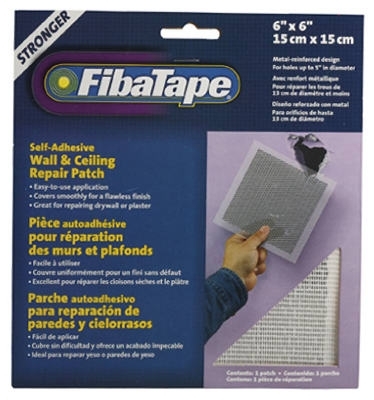 Wall & Ceiling Repair Patch, Perforated Aluminum, 8 x 8-In. 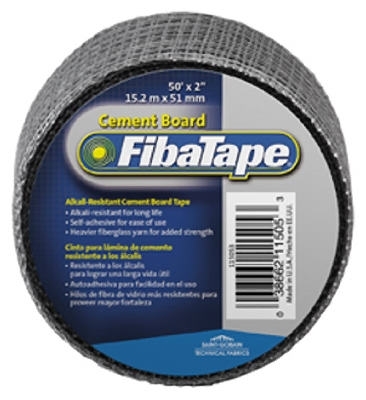 Cement Board Tape, Gray, 2-In. 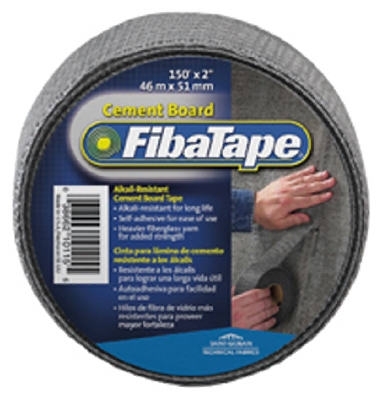 x 50-Ft.
Cement Board Tape, Gray, 2-In. 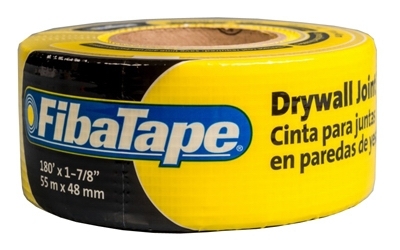 x 150-Ft. 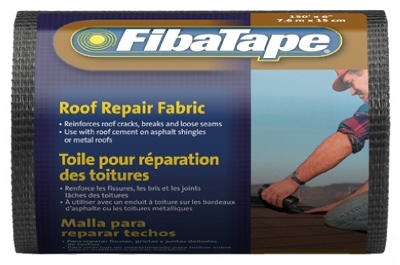 Mesh Roof Repair Fabric, 6-In. 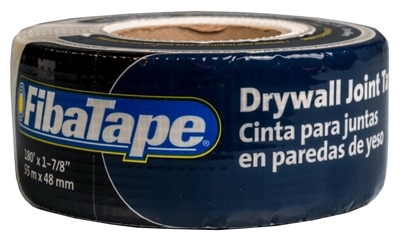 x 150-Ft.
Drywall Joint Tape, Fiberglass, White, 1-7/8-In. 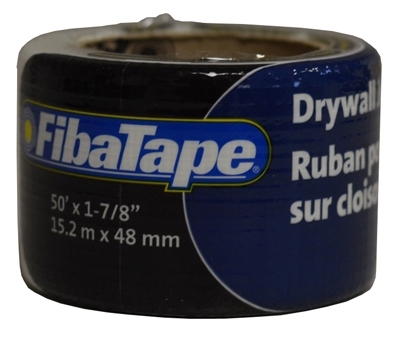 x 50-Ft.
Drywall Joint Tape, Fiberglass, White, 1-7/8-In. 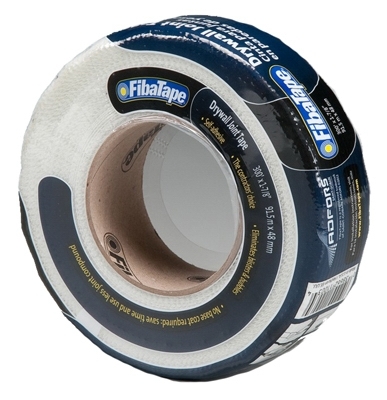 x 300-Ft.
Drywall Joint Tape, Fiberglass, White, 1-7/8-In. 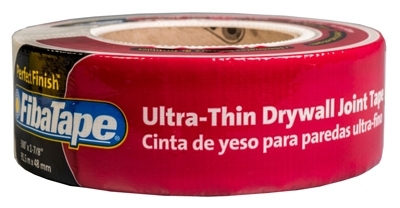 x 500-Ft.